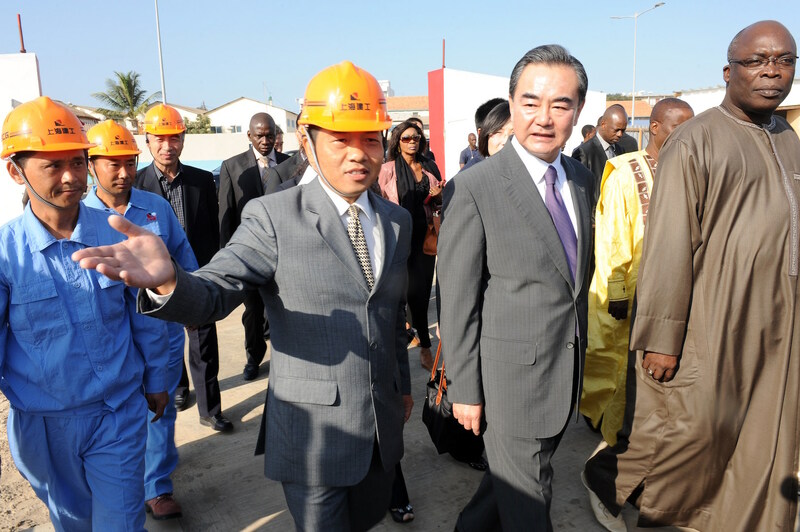 Senegal’s Culture Minister Abdou Azize Mbaye (right) and China’s Foreign Minister Wang Yi (second-right) tour the site of the Chinese-funded Museum of Black Civilizations in January 2014 in Dakar. In 2015, an estimated $750 billion left China, including individual investments in homes in Australia, the United States, and Europe. A new study shows a growing Chinese appetite for property in South Africa and Mauritius. Amid a prolonged economic downturn and a weakening yuan, Chinese investors have turned their focus to buying overseas assets. While there are a number of complicated reasons behind the massive capital outflows over the past 18 months, the fact remains that both individual and corporate investors are looking abroad for growth opportunities and hedges against currency fluctuations at home. In 2015, Chinese money worth an estimated $750 billion left the country. For individuals, foreign real estate is among the preferred investment options, as Chinese families buy second homes in Australia, the United States, and Europe. For some, these homes are purely for investment, but for many other Chinese buying real estate allows them to secure residency, secure a base for their children’s education, and as environmental conditions worsen in China, living abroad is increasingly seen as a desirable option. In the past, Africa has not been a popular destination for Chinese real estate investors, but there is new evidence to suggest that may no longer be the case. Dr. Honita Cowaloosur of the Centre for Chinese Studies at Stellenbosch University in Cape Town recently completed an in-depth research study on China’s growing appetite for property in South Africa and Mauritius.